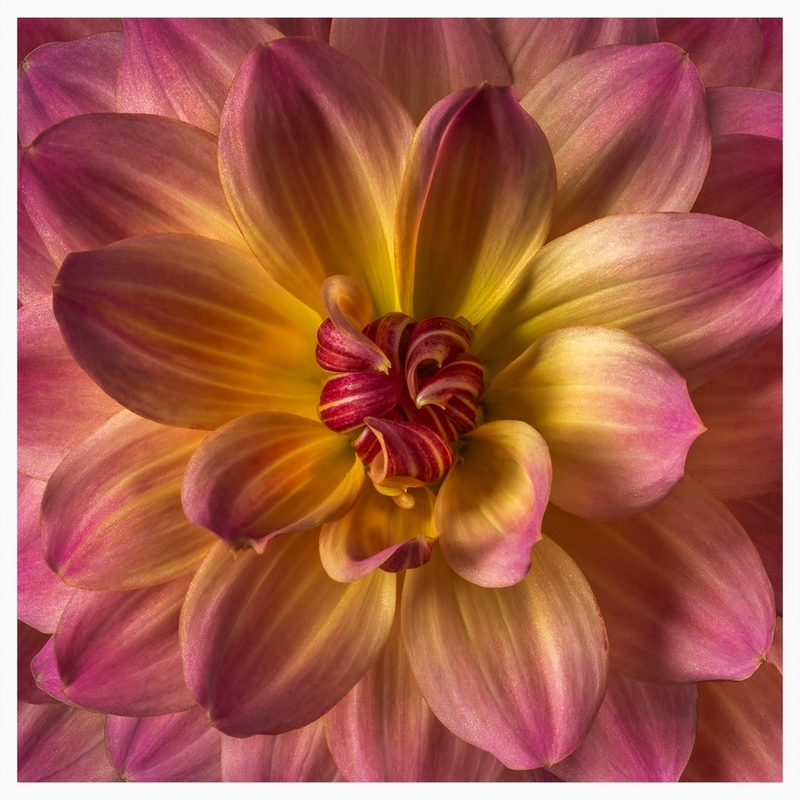 Flowers are one of my favorite macro subjects to photograph. 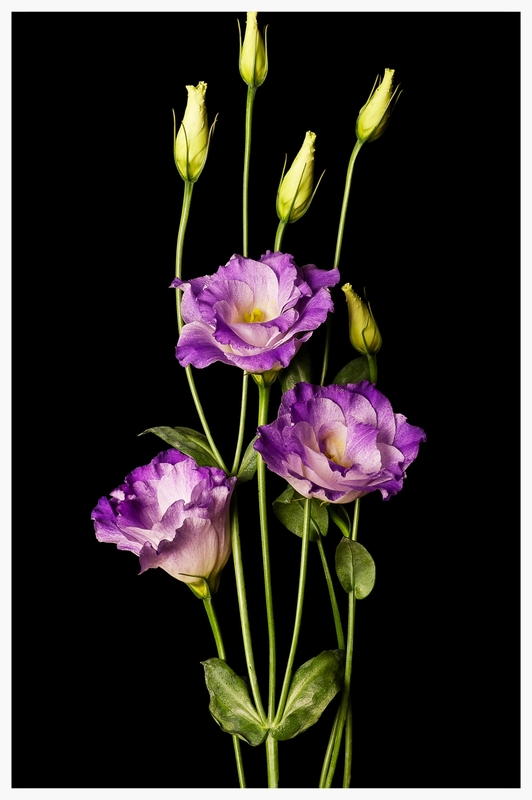 I really like working with different varieties of flowers; each one is distinct and beautiful in its texture, color, smell and shape. 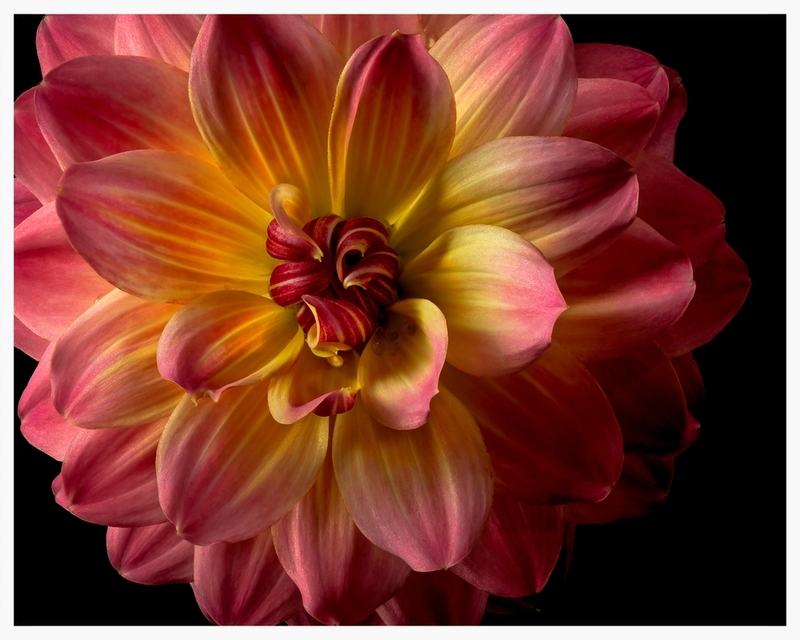 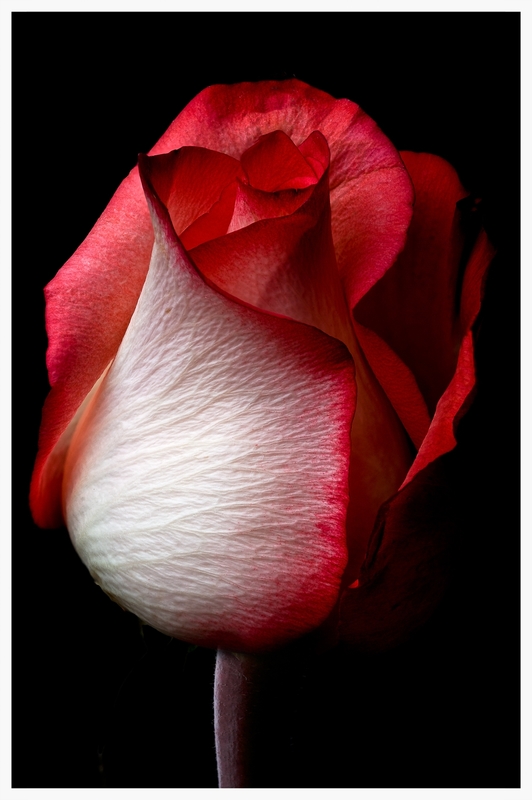 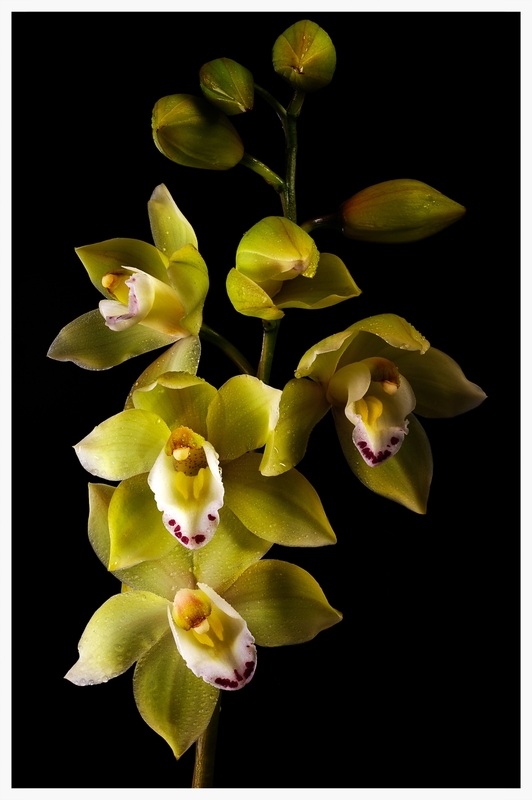 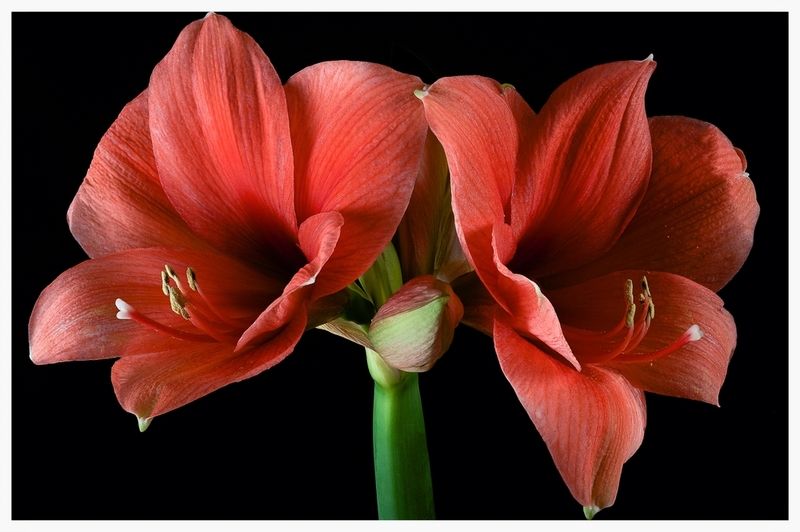 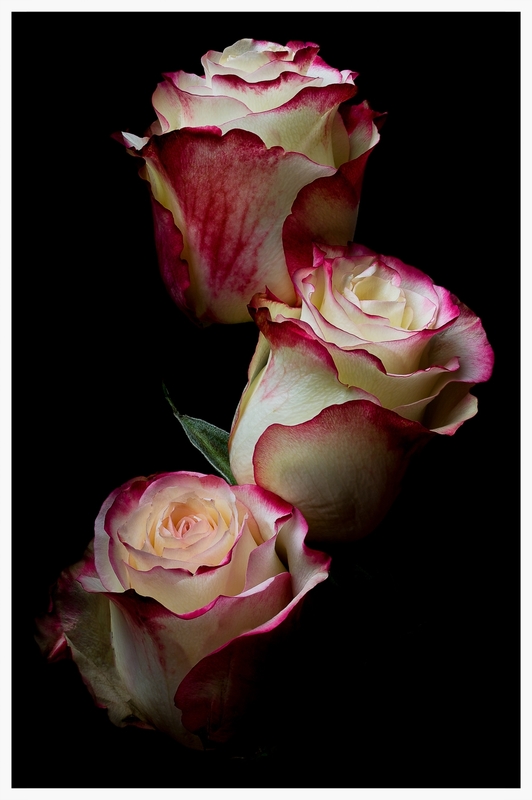 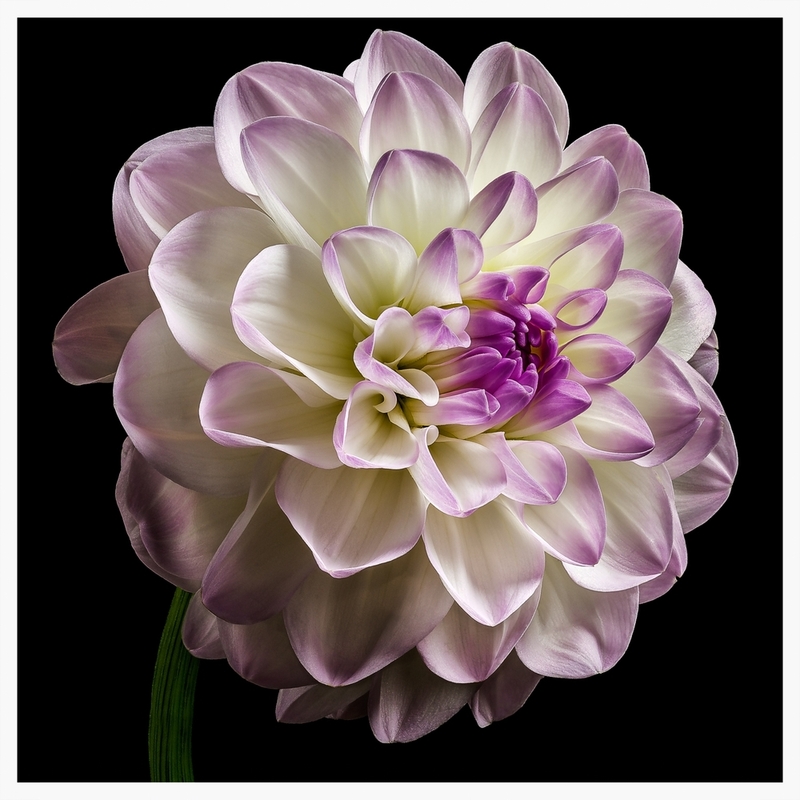 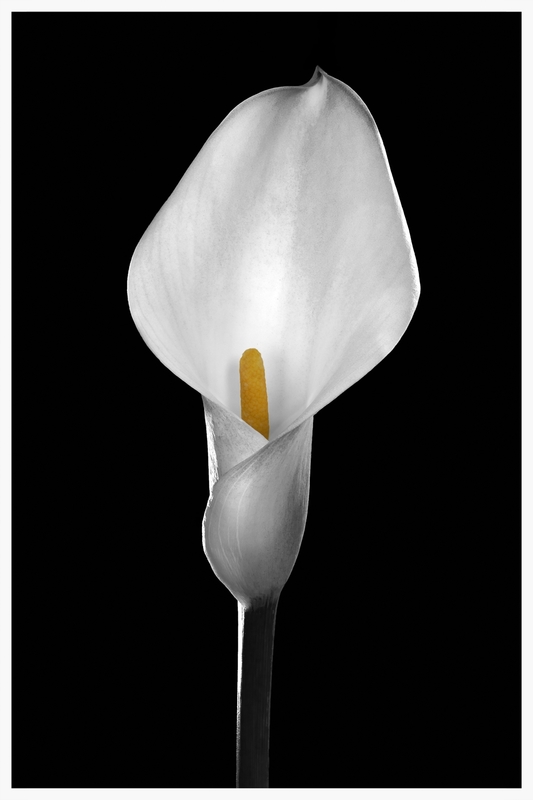 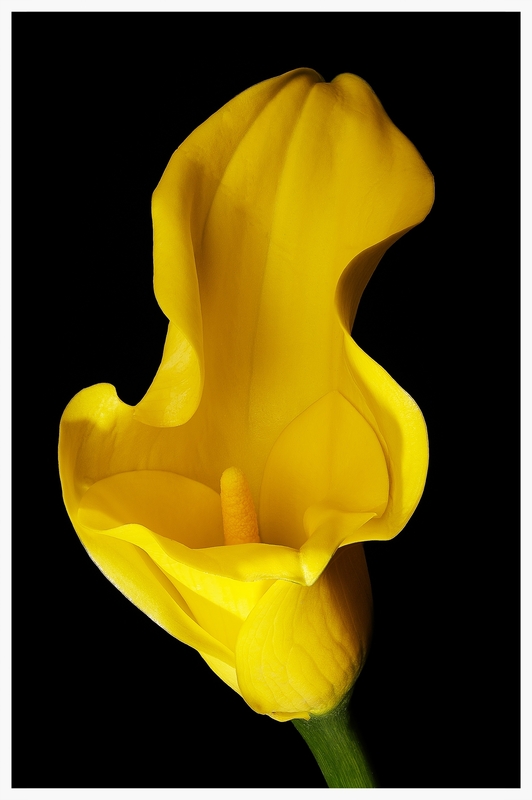 Technical: each of these floral shots are the results of a process called Focus Stacking. 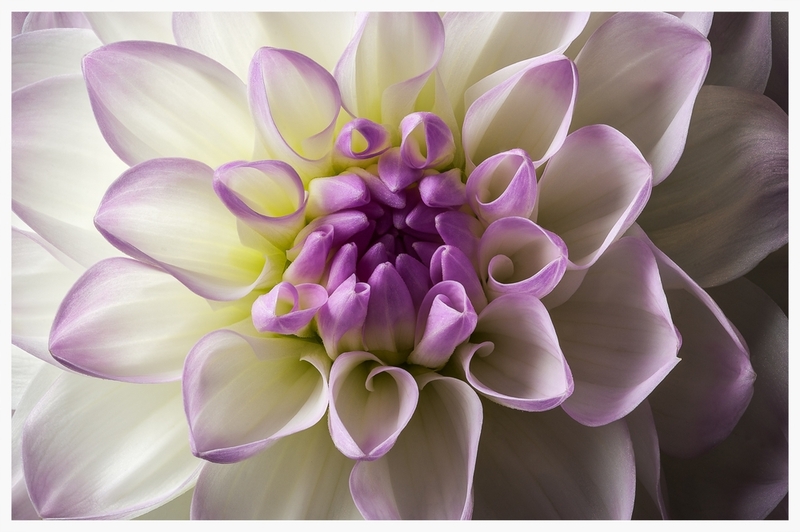 When shooting a Macro shot at a distance from lens to subject of 6 inches,the Depth of Field (part of the photo that is in focus) is only about 0.2 inches. 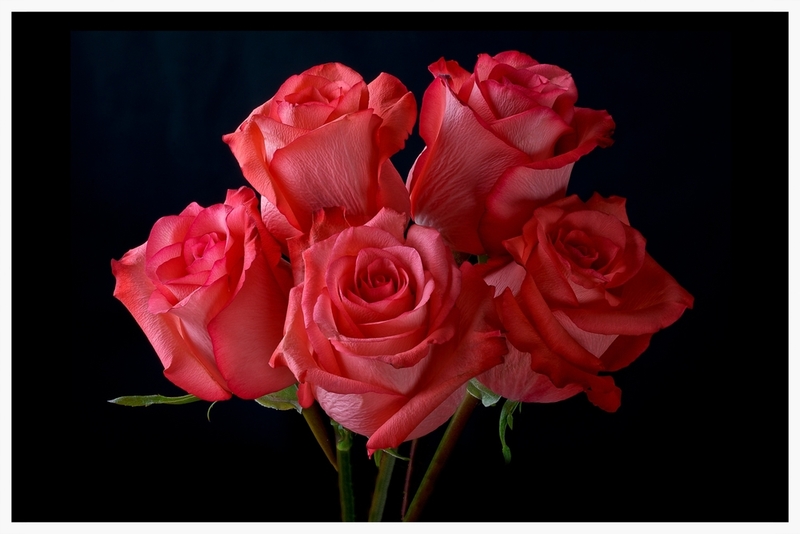 In order to get a shot that is completely in focus from front to back, 20 to 25 shots of the flower are taken at different focal lengths (different points of focus). 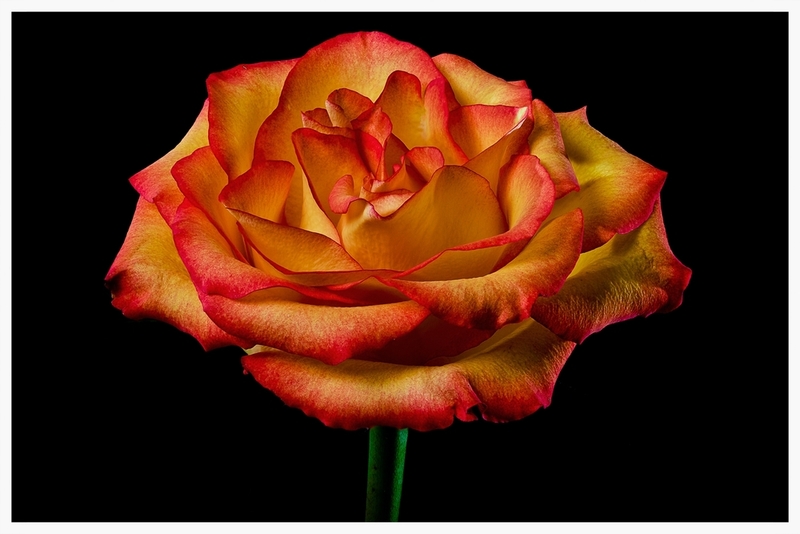 These shots are then combined together to render a photograph that is completely in focus.